While Valve infinitely falls through the same portal to find its game development labs, ClockStone Software and Headup Games (Darkest Dungeon, Earth Atlantis) have teamed up with Nighthawk Interactive (Friday the 13th: The Game, Rick and Morty: Virtual Rick-ality) to publish and distribute Bridge Constructor Portal, placing the game in retail shelves later this Summer. The retail package will include the original Bridge Constructor, Bridge Constructor Stunts, and the titular Bridge Constructor Portal for $29.99 USD. Based on Valve’s critically-acclaimed Portal franchise, Bridge Constructor Portal is an engineering sim and puzzle game that takes Aperture Science lab testing to all new challenging levels. In it, you’re a new employee tasked with building bridges, ramps, slides, and other constructions to get the Bendies safely across the finish line in their vehicles. GLaDOS will also be watching you very, very closely, so you better hope you perform well. 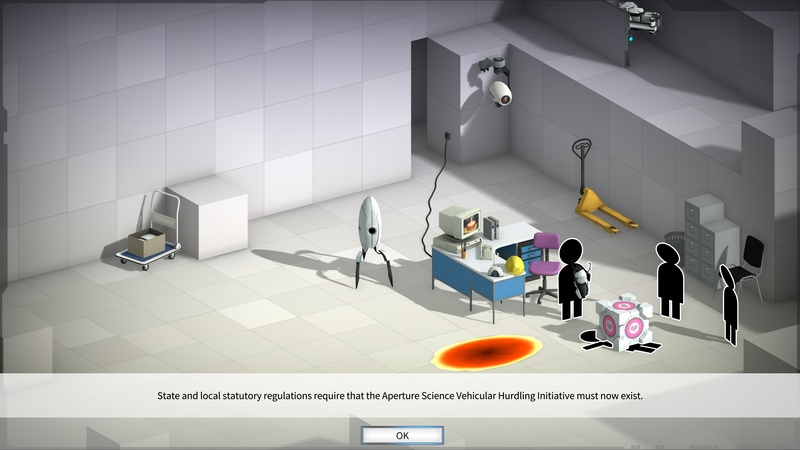 Bridge Constructor Portal will feature the original voice of GLaDOS, Ellen McLain; iconic gadgets of the original Portal franchise like portals, aerial faith plates, propulsion and repulsion gels, and more; and familiar Portal dangers such as sentry turrets, emancipation grills, laser fields, and acid. “You can really innovate and create your own victory path in each of these games, so we’re excited to share each of these challenging experiences in a single bundle,” said Gregor Ebert, Headup Games’ PR Manager. Bridge Constructor Portal will launch this Summer for PlayStation 4 and Xbox One.